As temperatures plummet, heating bills rise and it is a big worry for many. 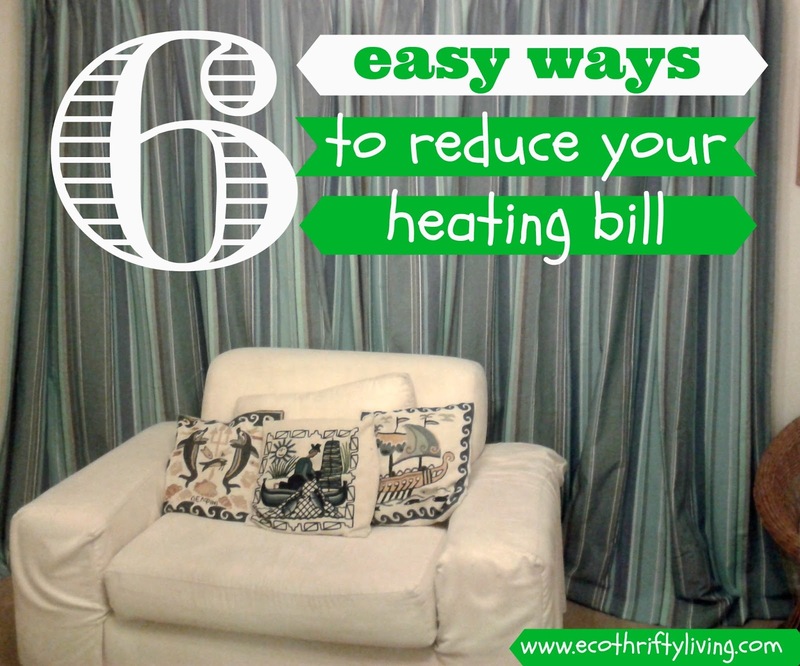 But fear not there are lots of things you can do to make keeping the heat in and the cold out more affordable and here are 6 of them! Note – This blog post contains affiliate links marked with * and anything you buy through them will help to support the blog as I will get a small commission. Thanks! All opinions are my own. Switch energy suppliers – USwitch can help you compare prices and potentially save money on your bills. If you would prefer a renewable tariff you can compare against companies like Octopus Energy * on there too. If you have a cold drafty chimney and a fireplace that isn’t being used then stick a chimney balloon* up it! They are reasonably priced and help to stop the heat escaping up your chimney. Make sure you take the chimney balloon out before lighting a fire though! A lot of heat is lost through windows and adding some thermal curtains* can really make a difference! Shutting doors is a simple thing to do and it helps to retain the heat in a warm room. To keep even more heat in a room after shutting the door put a draught excluder* along the bottom of the door. Getting cold at night time – time to change that duvet! A duvet with a thick tog rating* will make so much difference and will keep you snug and warm all night long! You don’t have to spend a fortune on heat saving products – I have bought most of our curtains from charity shops, making a draught excluder could be a fun project and we made our own DIY chimney balloon. Sometimes though it is a good idea to make an investment in a good quality product that will last a long time and will save you money in the long run. What do you do to keep your warm in winter and to keep the heating bills down?UPDATE: Since I wrote this blog post I now have another one on intelligent and remote heating controls which can also potentially help save money on energy bills – so take a look! Coming soon: Look out for my post next Monday on 6 top eco gifts for the men in your life this Christmas (now published)! This entry was tagged eco, eco living, energy bills, Energy Saving, Frugal, Green, green living, heating, thrifty. Bookmark the permalink. ← Should you shop in the Black Friday sales or buy nothing that day? We do all of the above except the chimney balloon, as we fitted a log burner a couple of years ago. It is something we used to do though and to great effect. We have an extractor fan in the kitchen and as soon as colder weather strikes I cover the inside vent with a shower cap to stop draughts. It is amazing how much warmer the kitchen feels when it is in place. It is also easy to remove and replace when I need to use the fan. We have also put sealant around gaps in window frames and a piece of blu-tak or similar placed over keyholes is another very low tech way to stop those howling gales that find their way through the smallest of gaps! Clever tips – I really like the blu-tack over the keyhole idea! Thanks for sharing! That's a great tip to turn the thermostat down by a degree and it is really easy to do! We have an intelligent heating system and that does help us save money on our heating, but does involve an initial investment. Layers is a good one too – can't believe I missed that one!